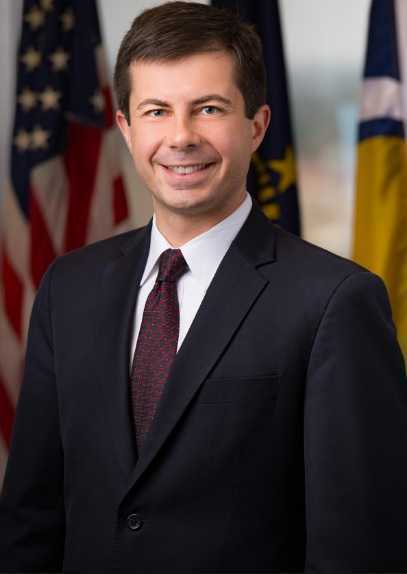 Pete Buttigieg, birth name, Peter Paul Montgomery Buttigieg, is an American politician and former Naval Intelligence Officer. He served as the 32nd mayor of the city of South Bend, Indiana since 2012. He also served as an intelligence officer in the United States Navy Reserve from 2009 to 2017. He officially announced on 14 April 2019 that he was running for the Democratic nomination for president of the United States in 2020. 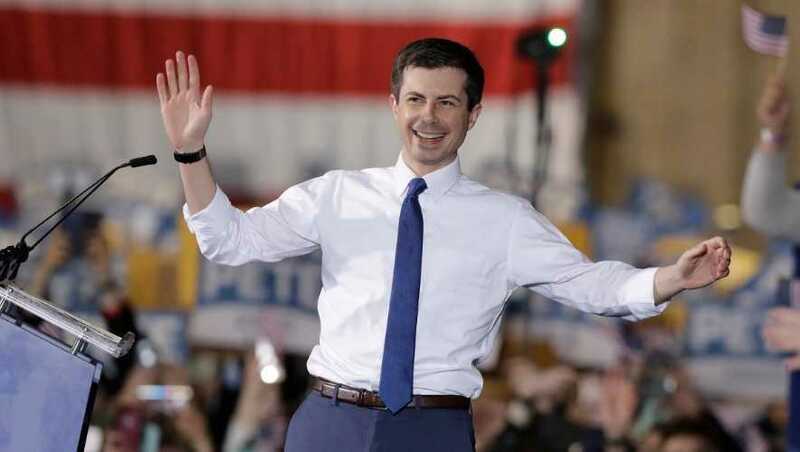 Pete Buttigieg, Mayor of South Bend and former intelligence officer in the United States Navy Reserve officially announced his Democratic nomination for the 2020 US presidential election. He announced on 14 April 2019 that he would run for the presidency. The 37-years old Buttigieg would become the youngest as well as the first openly gay LGBT American president if elected. Earlier in January 2019, he announced that he was creating an exploratory committee as a possible candidate for President of the United States in the 2020 election. "It's time for a new generation of American leadership. American is more than a broken Washington, D.C. and 2020 is about more than the next four years. Our country is changing, and what matters most is how we will rise to meet the challenges ahead in our economy, our society, and our politics. When Pete makes a decision, he doesn't focus on how it will play out over the next news cycle or the next election. He thinks about how our choices today will impact everyday life in our country, tomorrow, and in 2054-the year he will reach the current age of the current president. That's the kind of vision America need right now." He describes himself as a proponent of democratically influenced capitalism. He favors universal healthcare with retention of private insurance, dialogue, and cooperation between the Democratic Party and organized labor, universal background checks for firearms purchases, and environmental policies that address pollution and fight climate change. He also supports federal legislation banning discrimination against LGBT people and the Deferred Action for Childhood Arrivals program for immigrants. What is Pete Buttigieg Famous For? Announced his Democratic nomination for president of the United States in 2020. Mayor of South Bend since 2012. Served as an intelligence officer in the United States Navy Research from 2009 to 2017. First openly gay municipal executive in Indiana. Where was Pete Buttigieg Born? Pete Buttigieg was born on 19 January 1982. His birth name is Peter Paul Montgomery Buttigieg. He was born to a father, Joseph Buttigieg, and a mother, Jennifer Anne. His birth place is in South Bend, Indiana in the United States. He holds American nationality. He has no siblings. His zodiac sign is Capricorn. He attended St. Joseph High School in South Bend, where he was a valedictorian of his high school senior class. He was awarded the first prize for the JFK Profiles in Courage Essay Content by the John F. Kennedy and other members of President Kennedy's Family in 2000. He then attended Harvard College, where he majored in history and literature. He was president of the Harvard Institute of Politics Student Advisory Committee and worked on the Institute's annual study of youth attitudes on politics. He graduated from Harvard in 2005. He was awarded a Rhodes Scholarship following his graduation from Harvard. He received first-class honors in philosophy, politics, and economics from Pembroke College, Oxford in 2007. He worked as an investigative intern at Chicago's NBC news affiliate, WMAQ-TV before graduating from college. He also worked as an intern for Jill Long Thompson's unsuccessful 2002 congressional campaign. He served as an adviser to Jill Long Thompson's unsuccessful 2008 gubernatorial campaign. He worked as conference director for former US Secretary of Defense William Cohen's international strategic consulting firm, The Cohen Group from 2004 to 2005. He worked as a policy and research specialist for Senator John Kerry's 2004 presidential campaign. He worked as a consultant at McKinsey & Company from 2007 through 2010 after earning his Oxford degree. He was commissioned as a naval intelligence officer in the Navy Reserve in 2009. He was deployed to Afghanistan in 2014. He was assigned to the Afghan Threat Finance Cell, counterterrorism until that targeted Taliban insurgency financing. He returned to South Bend after a seven-month deployment. He remained a lieutenant in the Naval Reserve until 2017. He was elected mayor of South Bend in November 2011. He won by 74% vote. He took office in January 2012 becoming the second-youngest mayor in South Bend history after Schuyler Colfax III. He was 29 years old then. He was also the youngest mayor at a US city with at least 100,000 residents. He demoted South Bend police chief Darryl Boykins in 2012 after a federal investigation found that the police department had improperly recorded telephone calls. He fired the police department's communications director who had "discovered the recordings but continued to record the line at Boykins' command". A federal judge ruled in 2015 that Boykins's recordings violated the Federal Wiretap Act. Political opponents pressured him to release the tapes. An Indian court is currently hearing a case for the release of the tapes. He appointed Ron Teachman, formerly the police chief of New Bedford, Massachusetts, as the new police chief of South Bend. GovFresh.com named him mayor of the year for 2013. The Washington Post called him "the most interesting mayor you've never heard of" in 2014. One of his signature programs has been the "Vacant and Abandoned Properties Initiative", a project to repair or demolish blighted properties across the city. The goal was reached by the program's scheduled end date in November 2015. He was deployed to Afghanistan in 2014. He was assigned to the Afghan Threat Finance Cell, counterterrorism until that targeted Taliban insurgency financing. He returned to South Bend after a seven-month deployment. In his absence, Deputy Mayor Mark Neal served in the role of the executive from February 2014 until Buttigieg returned to his role as mayor in October 2014. He won his second term as mayor of South Bend in November 2015 with over 80% of the vote. He opposed the Indiana Senate Bill 101 allowing discrimination against LGBT people in 2015. came out as gay shortly afterward. He proposed a "Smart Streets" urban development program to improve South Bend's Downton area in 2013. He secured a bond issue for the program in early 2015. "Smart Streets" was aimed at improving economic development and urban vibrancy as well as road safety. The project involved the conversion of one-way sidewalks. streetside beautification, the addition of bike lanes, and the introduction of roundabouts. The project was officially completed in 2017. He was the leading figure behind the creation of a nightly laser lighting display along downtown South Bend's St. Joseph River trail as public art. The "River Lights" installation was unveiled as part of the city's 150th-anniversary celebrations in May 2015. South Bend launched a $50 million investment in the city's parks under him. He announced in December 2018 that he would not seek a third term as mayor of South Bend. He announced his candidacy for Chair of the Democratic National Committee in its 2017 chairmanship election. However, he withdrew from the race on the day of the election. He announced in January 2019 that he was creating an exploratory committee as a possible candidate for President of the United States in 2020. He officially announced for the 2020 presidential campaign on 14 April 2019. If elected, he would be the youngest as well as the first openly LGBT American president. He published his memoir, Shortest Way Home: One Mayor's Challenge and a Model for America's Future in 2019. Named 2014 Aspen Institute Rodel Fellow. Awarded 2015 John F. Kennedy New Frontier Fenn Award. Who is Pete Buttigieg Married To? He came out as gay in an essay in the South Bend Tribune in June 2015. He announced his engagement to a junior high school teacher Chasten Glezman in December 2017. They started dating after meeting on the dating app Hinge in August 2015. The couple got married on 16 June 2018 in a private ceremony at the Cathedral of St. James. He lives in the same South Bend neighborhood where grew up. What is Pete Buttigieg's Net Worth? Pete Buttigieg earns serving in the government positions. He served as an intelligence officer in the United States Navy Reserve and served two-term mayor of South Bend. His annual salary is estimated at $104,000. As of 2019, his net worth is under evaluation. His father is an immigrant from Hamrun, Malta. The surname Buttigieg is Semitic, "tigieg" meaning "poultry" in Maltese. Her mother was a master degree graduate in Fine Arts from Notre Dame and worked as a teacher at the National Cathedral School before becoming a professor at Notre Dame for 29 years. He met Caroline Kennedy and other members of President Kennedy's family to accept the first prize for the JFK Profiles in Courage Essay COntest Award. He taught himself to speak Norwegian and is also conversational in Spanish, Italian, Arabic, Maltese, French, and Farsi. He has two rescue dogs, Truman and Buddy.